Are you looking to get away from it all and enjoy the privacy of an Orange Beach house or cottage? We offer these Gulf Coast cottages located both on and off the water all along the Alabama Gulf Coast. 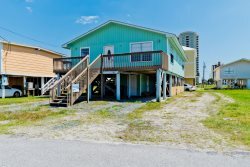 From large Gulf Shores beach house rentals to accommodate groups to small cottages for those who might just need a quiet getaway for two, we offer a wide variety of vacation rentals for your trip to the coast. Along with a great place to stay, you'll enjoy white, sandy beaches, wonderful restaurants, great shopping, and tons of fun and exciting things to do, see and explore! Let us take care of the lodging details so you have a stress-free vacation! Check out our available cottage and house rentals along the Gulf Coast. Contact us if you have any questions or specific needs and we'll do our best to help in any way we can.